My husband called with the news that one of his uncles had died. He wanted to go to the funeral. He wanted his family to come too, but he wasn’t sure either would be possible. It was April, NBA playoff season. For my husband, an associate producer in sports television, that means traveling to multiple cities a week with only a few hours notice, nonstop consumption of all news sports and struggling to find two or three days to get home to see the baby and I. On top of that, I had just decided to quit my job as a reporter for a daily newspaper, and the week of the funeral was my last week of work. I couldn’t exactly ask for it off. Still, I offered what I thought was perfectly feasible solution. I have a feeling that to him, it was something akin to asking – Why don’t you just take the private jet. I asked all the same. Why don’t you just take the baby without me? It seemed like an unfortunately good opportunity for our son, Donovan, to meet his grandparents and extended family. “Are you sure,” I asked my husband, Donzell Floyd. He was, so we moved on. We both continued with our days, and later that night I text him a picture of our sleeping baby. Donzell had one day. He would fly from San Francisco to Atlanta, spend a few hours with his son, fly to Orlando, stay four nights then head back on the road for work. Four nights off during the playoffs is about as rare and precious as vibranium outside of Wakanda. It’s rumored to exist, but how can anyone be sure? No way I was letting my husband miss out on a bonding opportunity just because he didn’t think he could handle it. In between days of getting little sleep on the road, he comes home and handles feedings, changings and sleepless nights. He talks to our son through basketball games, straps on the baby carrier and walks him around the yard. 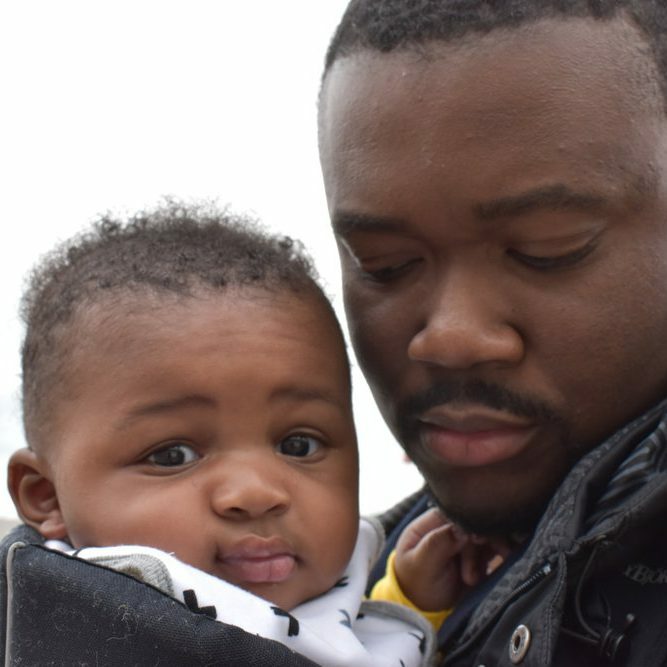 He kisses his son, tries to sleep train him and wipes the seemingly endless flow of dribble from the teething infant’s mouth. This was just another airport, just another flight. “You can do this honey,” I said in an email. I also packed two carry-on bags for the baby and spelled out in that email where I had packed what. My husband was due to get home at about 2:30 p.m. on a Wednesday, and his flight to Orlando was scheduled for 5:55 p.m. that same day. I was going to make sure our baby was on that plane with his daddy. I lined the little man’s bags up, dressed him in a comfortable athletic fit and prepared my camera because it was my baby’s first trip. Obviously, there would be lots of pictures. I still couldn’t be sure Donzell was ready to brave the trip alone though. So I watched and waited when he got home. He lifted his baby boy up in his arms, kissed him and smiled. I knew Donovan had sealed the deal. He was going to Orlando with his dad. “See son, your mama don’t really love you,” Donzell said, jokingly. 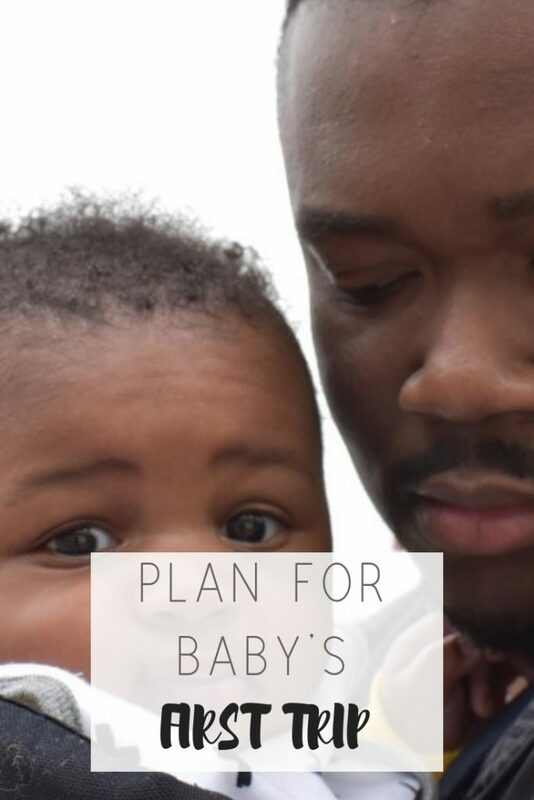 How we planned baby's first trip same day | Honeycomb Moms | Flying out of town on baby's first trip is no easy task. Pick up travel preparation tips from one family's story.